The diversity of tours available around Pattaya is tremendous for visitors. Half-day or full-day, some destination experiences you must have seen. A guided tour is simply the best way to discover and explore! You want to do a guided day tour and check the attractions around? Let our staff know and they show you what options you got. Please keep in mind to order a taxi service 30 minutes in advance. 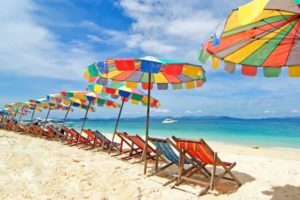 Very close to Sunrise Villa Resort you find two of the best beaches in the whole Pattaya area: Baan Amphur and Bang Saray. Away from the city, Baan Amphur is still a quiet fishing village with wide nice sand beach and palm trees. Also the beach is very clean. It is known for its seaside seafood restaurants. There are a lot of small Thai seafood restaurants which offer great seafood. Just a few minutes from the Sunrise Villa Resort and about 3000 square meters big you find Nong Nooch garden. It shows all of the most beautiful flowers and landscaped gardens in Thailand, if not the world. 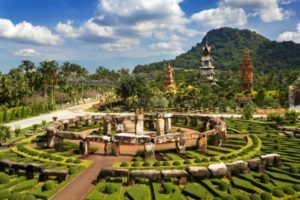 The garden won many international awards for their designs, which include 17th-century-French-style gardens, a recreation of Stonehenge and exclusive cacti, bonsais and tropical palms. Also just a view minutes from our resort you can find the brand new cartoon network waterpark. Cartoon Network is Thailand’s first international water theme park, an attraction like no other in Thailand or in Asia. 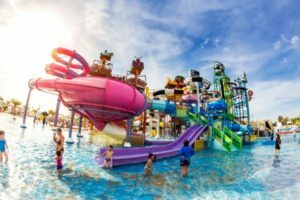 The Cartoon Waterpark will particularly appeal to younger family members, having so many attractions like fountains, tubes and other water features. The Water Park offers more than 30 world-class water rides and slides. 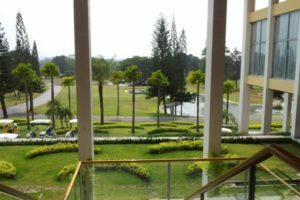 Just in walking distance from the villas you find the well-known Phoenix Golf Course and Country Club.This professional coastal golf course got the three nines -„Ocean“, „Lake“ and „Mountain“. The greens are spacious and beautifully framed with eucalyptus and the welcome shade of bushes. Besides the club offers a very good restaurant, great clubhouse facilities and friendly caddies. Pattaya City is just a 15-minute car drive away from Phoenix villas resort. 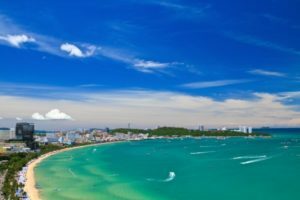 Pattaya has many things to offer and many activities to do. Pattaya offers many shopping options, many different malls, markets and bazaars. One thing is for sure: there are enough places to shop and you will find anything you want. The biggest mall is the Central Festival Pattaya with over 300 shops including Guess, Puma, The North Face, Zara and many more. Do you need a transfer from the airport to our resort or to nearby attractions? No problem. Here you can find rate for several destinations as well as the prices for different vehicles to rent. For any booking feel free to contact us. We take care of the booking. Dee Rent – ask for bookings. 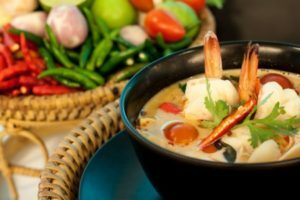 Thai cuisine is one of the most renowned in the world. It is known for its diversity of ingredients and outstanding spiciness. The fresh flavors of Thailand are found in meals like Pad Thai, Panang curry or spicy Basil Chicken. We work in cooperation with some Thai restaurants nearby. You can order Thai food and it will be delivered directly to your house in the resort. One example is a close by fish restaurant where you can get your food delivered right at home. You can have a look in the menu in your house and decide what dishes you want to order. For a pleasant and relaxing stay and cozy evening at home we offer high speed fiber internet via free wi-fi in all areas of the resort. 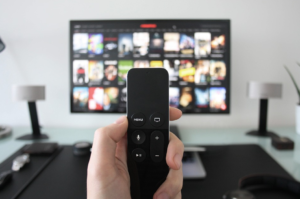 With our TV parabola-satellite package (IPM HD Premium) you can choose between around 140 different channels – local Thai channels as well as many international channels like Chinese or English TV.